Earlier this week, Nicki Minaj and her ex-fiance Safaree Samuels engaged in a heated Twitter exchange that had everyone in a frenzy following the release of her fourth studio album QUEEN. The "Love & Hip Hop" star made claims that Nicki tried to kill him by stabbing him. The "Barbie Dreams" rapper popped back, exposing Safaree as a thief and revealing she paid $10k for his fake hairline. If you missed all of that, click HERE and HERE. It was MANY things. So yeah, they pretty much made these Internet streets pause as they bickered back and forth. The MTV Video Music Awards production is well aware of their online spat, so they're taking extra measures to be sure everyone stays safe. You know, just in case somebody tries to take their IG beef into real life. It's being reported the VMAs have beefed up security by hiring "more guards" to be sure Nicki and Safaree never cross paths. The QUEEN rapper is scheduled to hit the stage while Safaree will be presenting, so they'll both likely hit the red carpet before heading inside Radio City Music Hall. Honestly, we don't predict anything going down between these two that would involve needing extra security. It almost sounds like a PR stunt to get more viewers tuned in on Monday night when the ceremony goes down. Buzz sells. Keep it locked to TheYBF.com for everything that does or doesn't happen between these two and everyone else. 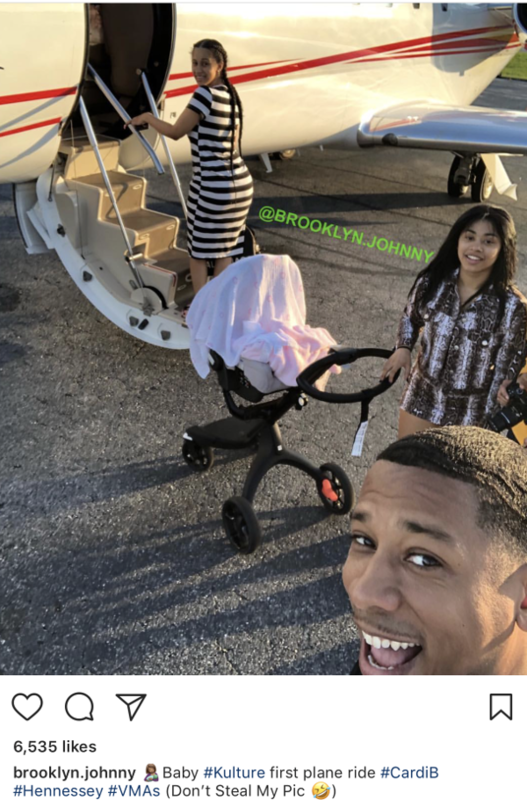 A month after making her grand entrance into the world, Baby Kulture is hopping on her first private jet! Dad Offset is currently with his bandmates Migos and Drake on their "Aubrey & The Three Migos Tour." They were supposed to perform in Chicago on Monday night (the same night as the VMAs), but the concert has been canceled. 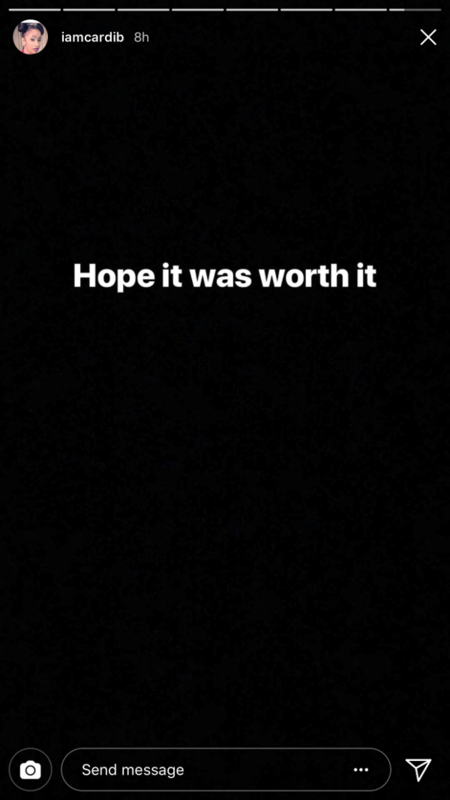 So, it's unclear if Offset will be attending this year's awards. Bardi will def be there as she's tapped to open the show, and it will mark her first public appearance since giving birth to baby Kulture Kiari. 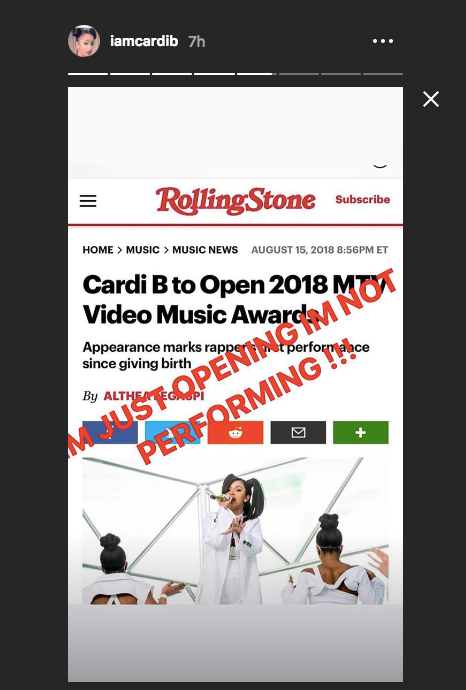 She confirmed that while she'll be "opening" the VMAs, she will not be performing. We guess she'll read a few lines on a teleprompter to say give a good church welcome. Guess we will find out the difference when the show starts. Hmm...we're not sure what this means. Could be about her baby's daddy or about Nicki Minaj's latest words about her. Maybe we're reading into it...or maybe not. Anyhoo, along with Nicki and Safaree's "beef," the "Chun-Li" rapper talked a lot about her supposed ongoing feud with Cardi this past week. We're sort of confused by Nicki being that when she first talked about her "beef" with Cardi she talked about how the former reality star "hurt her feelings" and how Cardi should have thanked her/paid homage to her for getting on the "Motorsport" track with her. In her most recent interviews, she has been talking about how people need to learn how to toughen up because isn't this what rap is about...battling and talking ish on wax? They both need to just say what they need to say on wax and let it go. When people apologize to me sincerely, I accept it. It’s really never too late to right your wrongs. Love. Celebs love subliminals, don't they?